The Distribution Series 3 DC load distribution panels provide dual-bus architecture with a 200 A peak load rating. Fuse or breaker protected outputs are available. Each bus provides six outputs and supports 100 A peak. Available in standard unmanaged models or intelligent fully managed versions that include TCP/IP for remote management and power-cycling using HTML or SNMP. For the 200DB version, the plug-in breakers are available in 5, 10, 15 and 25 A rating. The panels are designed for land mobile radio and wireless broadband communications professionals who require cost-effective dual bus power distribution for redundancy; to support mixed voltages at their sites; and to remotely power-cycle their outputs to reboot connected loads without having to travel to the site. 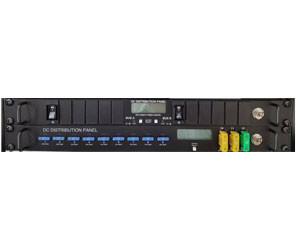 The Distribution Series 3 is suitable for distributing and managing DC power to radios, repeaters, microwave radios, WiMax, routers, bridges, multiplexers, as well as industrial DC power applications including security and surveillance, transportation, process control, and DC in-building power. 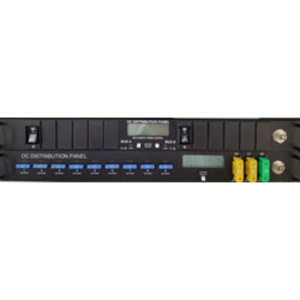 I am interested in Helios Distribution Series 3 DC load distribution panels .